This is a low income tax credit property designed for seniors 62+ years of age. This property does accept Section 8 rental assistance vouchers. These home units are all two bedrooms and have 1,085 square feet of living space plus an attached garage that has an additional 249 square feet. They are all electric featuring some appliances such as a refrigerator, dishwasher, microwave, garbage disposal, and some with a washer and dryer. The office hours are Monday thru Friday from 8am to Noon. There are 24 home units and prices are $525.00 per month, $647.00 per month, or $750 per month for those applicants over income limits. Contribute! Do you know how much Mission Village of Tahlequah charges for rent? Obtaining rental rates for low income housing is difficult as most rates are based on the income of the renter. 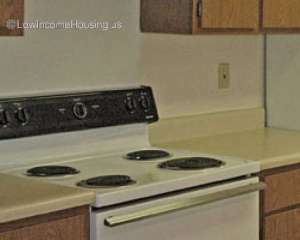 We created this section so users of our website can see what others are paying for rent at Mission Village of Tahlequah. Attention We cannot guarantee the rental costs to be completely accurate. They are displayed for informational purposes for our users. We have compiled prices provided by users and online research. In order to obtain actual costs please contact Mission Village of Tahlequah directly.